There was an early start to the qualifiers this year, as the weekend after Easter saw the first of the regional qualifiers take place for the South East, Anglia and South West regions on Saturday 7 April at Mortimers Farm, Fair Oak, Hampshire, by kind invitation of the Piper and Maclean families. 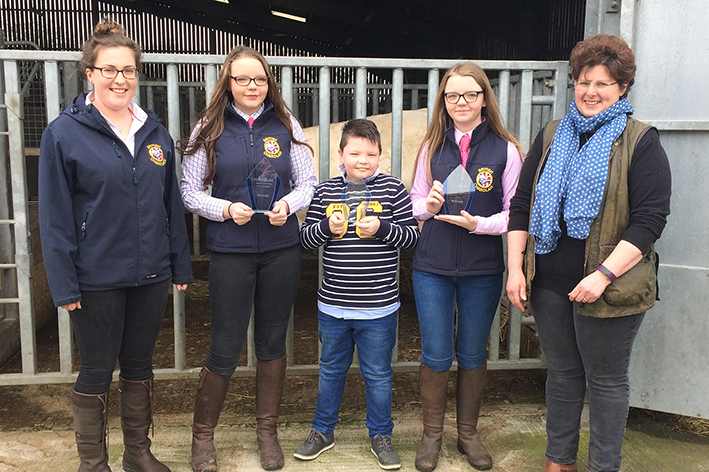 Mortimers Farm which established their Charolais pedigree herd in 1983 with the purchase of seven pedigree Charolais females from the Monymusk herd, is well known throughout the show circuit as Charlie and the boys take their show team all over the country. They have achieved considerable success in all age groups at National and County Shows including Overall Supreme Championship at the Royal Highland, South of England and The Royal Bath & West – to name just a few, and bred the last ever Royal Show Champion Mortimers Urovision. In the sale ring the herd has had seven Perth sale female champions, five of whom were sired by homebred Mortimers Josh and their current record high priced, was the sale of Mortimers Echo for 10,000gns at Stirling in February 2011. 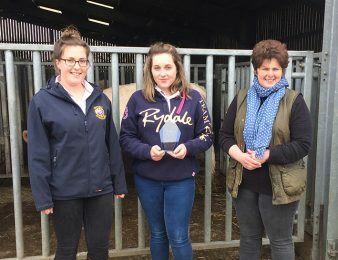 Quality is favoured over quantity and the Mortimers’ breeding objective has been to produce quality females and bulls for pedigree herds and the commercial farmer – focusing on ease of calving, conformation, temperament, milk and growth rates. A high health and welfare policy is paramount, and the herd is a member of the SRUC Premium Cattle Health Scheme and accredited for BVD, IBR and Johnes. 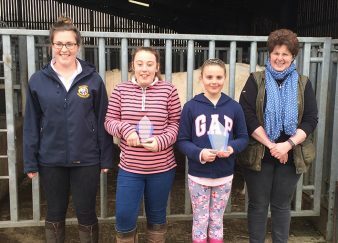 After the club AGM the stockjudging began with three classes to be judged, young heifers, cows and bulls, after which we tucked into the fine spread laid on by regional co-ordinator and host Karen Maclean, which included some very welcome warming soup. Lunch and the presentations were hosted in the beautiful period barn and when everyone had eaten their fill there was a chance to have a go at halter making with Graham Fishlock before a cattle dressing demonstration by experienced showmen Darren Knox of the Drumshane herd and host Charlie Maclean. Before the presentation of prizes, the master judge 23-year-old Ruth Perry gave us a demonstration on how to give reasons and the young competitors had a chance to ask her questions about her choices and her experiences in previous stockjudging competitions. It was refreshing to have such a young master judge and the high scores achieved by the competitors proved that she knew her stuff. Congratulations to all of the regional high scorers who go forward to the National final on the 21st July. For the South East region, Angus Maclean and Kirstie Torrance will represent the seniors with scores of 142 & 132 respectively. 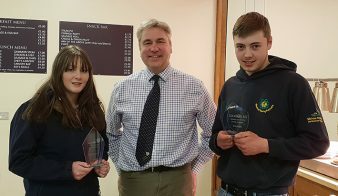 Donald Maclean and Matthew Ranson who scored 134 & 106 will go forward at the intermediate team and Holly Archer and Kiera Mason go forward for the juniors with scores of 141 and 138. 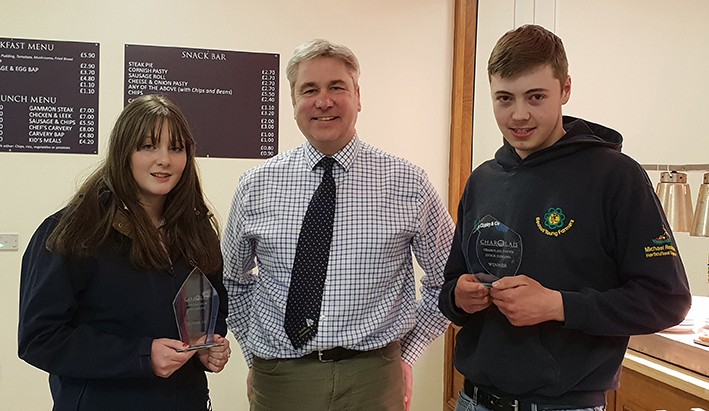 For Anglia, team a are Naomi Jones and Ellie Knox who scored 127 & 125, team b – Toby Ranson and Hannah Knox – 102 & 123 and team c – Charlie Knox scoring 123 and William Heath. And finally, the South West will be represented by James Wareham, George Wareham, Emily Mitchell, Ben Trim, Tom Mitchell and Ali Wareham who scored 113, 102, 136, 134, 130 & 112 respectively. 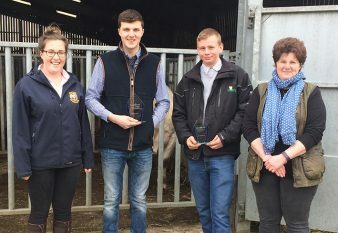 Regional qualifiers for the Welsh and Midlands regions were next and this year was again held at Welshpool Livestock Market on the evening preceding the April society sale. 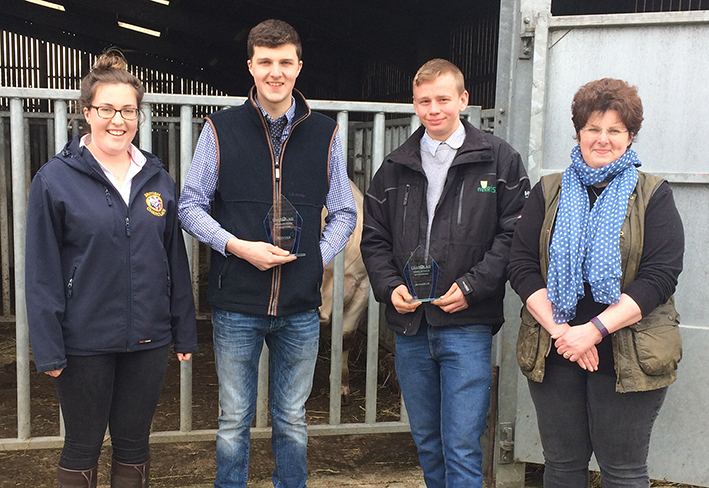 The stockjudging was scheduled for after the inspections and there was a small turnout with competitors travelling from Wales, the Midlands and even one from Yorkshire! The market had kindly agreed to us using the show ring and as usual the Welshpool market team were really accommodating, with the caterers staying on late so we could host the presentations in the canteen. 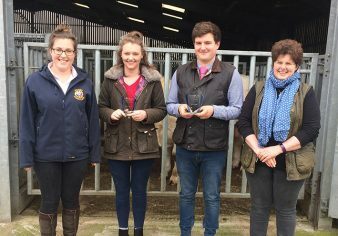 The exhibitors were as always, ready and willing to help and between them organised two bull good classes for judging and Society Vice Chairman Ben Harman kindly stepped in as master judge. 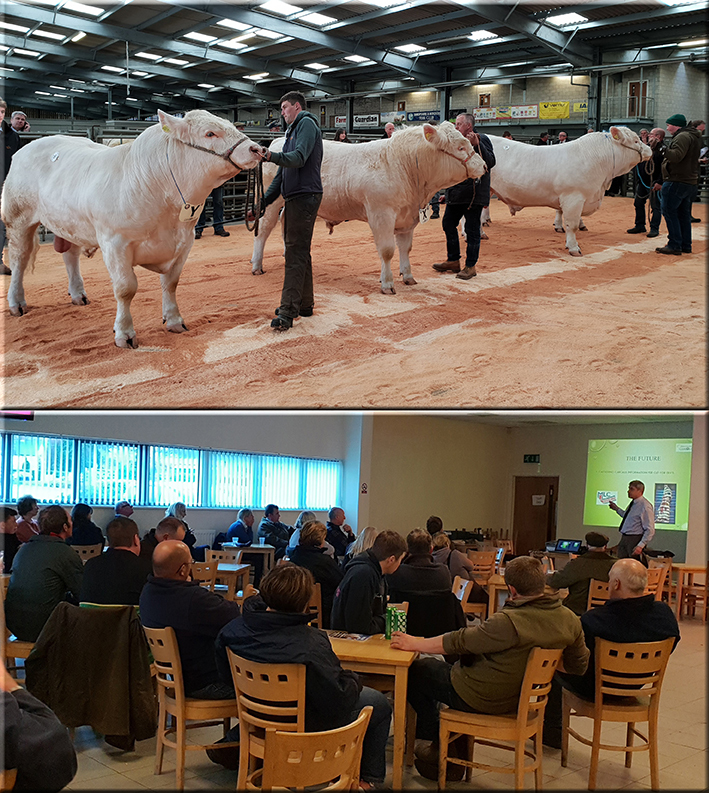 After the judging, while the scoring was taking place, Society CEO Peter Phythian gave a presentation to competitors and exhibitors on cattle classification and market requirements, which was followed by a talk and a question and answer session on the Society’s new DNA policy. 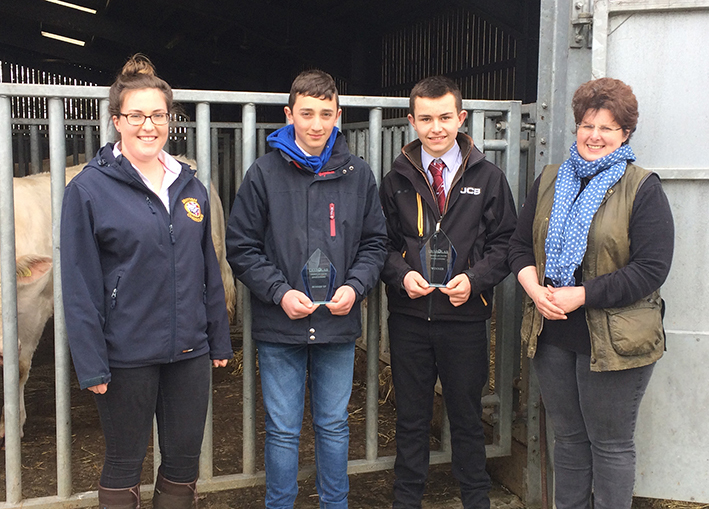 Congratulations to all of the competitors going forward to the National competition. At Borderway Mart, Carlisle, Cumbria, CA1 2RS on Friday 11 May, commencing at 7pm. 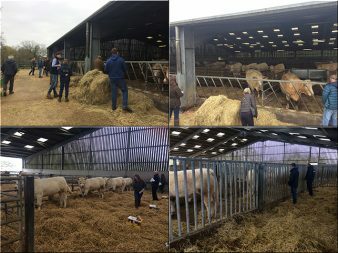 Joint stockjudging with the British Blonde Society. At Brampton Hall, Skelton on Ure, Ripon, North Yorkshire, HG4 5AW, by kind invitation of Billy & Sarah Turner, on Sunday 20 May, commencing at 2pm. At Firhills Farm, Arbroath, Angus, DD11 4RJ, by kind invitation of Jim & Alison Muirhead, on Sunday 27 May, commencing at 12 noon. At Swatragh Mart, 46 Garvagh Rd, Swatragh, Maghera, BT46 5QE, on Friday 1 June, commencing at 5pm. Kindly hosted by the Donger family at Seawell Grounds, Foxley, Towcester, Northamptonshire, NN12 8HW on Saturday 21 July 2018. 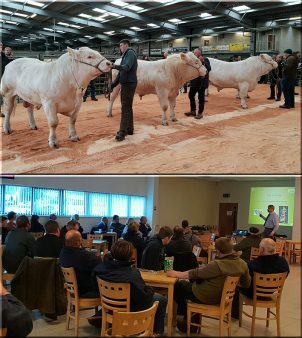 The event will begin at 9am with trailer tours of the cattle and holding, a presentation by Weatherbys on genetic DNA testing and a presentation of the value of using EBV’s for beef production. 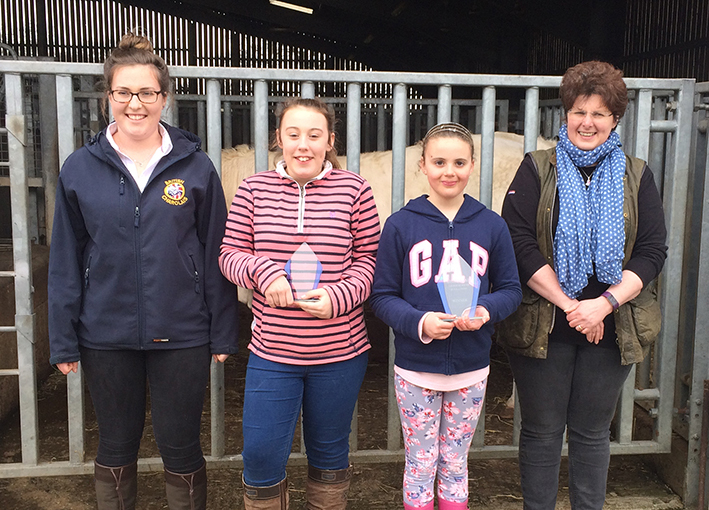 This will be followed by the Youth stockjudging final and open stockjudging at 12 noon. 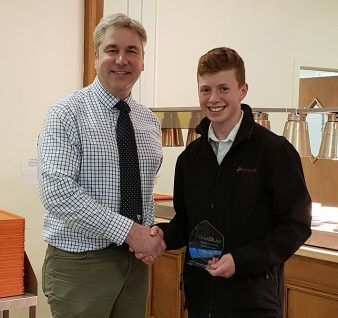 Lunch will be provided at 1pm, after which there will be presentations by Harbro and Keenan Feeders and a cattle dressing demonstration before the presentation of prizes at 4pm. If you are travelling from Scotland or Northern Ireland, you may wish to consider flying into Birmingham Airport or getting the train to Birmingham International station. The Society will provide coaches on the day for return travel to and from the train station, which is just a 5-minute free monorail trip from the airport. The coaches will leave the airport at 7:30am and return at approximately 6:30pm. The fee for return travel will depend on the uptake but will be approximately £10 per head. There are 150 open places for up for grabs, on a first come, first served basis, so if you would like to attend please could you let us know as places must be booked by Friday 1 June 2018.